Unblocking a roof valley is a basic maintenance task and should be done whenever there is visible sign of clogging of the valley. Provided safe access is available this can generally be done from a ladder and would cost around £50-75. If the lead in the valley is cracked then replacing it is a medium sized task and should take around a day. The work involves putting up an access tower, stripping the tiles either side of the valley and then removing the old lead (there is a scrap value for this). The valley is normally supported by wooden valley boards and these should be checked for damage or rot and replaced if necessary. New lead to a minimum of code 4 (1.8mm thick) or code 5 (2.24mm thick) needs to be added. The width of the lead flashing required depends on the width of the valley and whether the tiles are bedded with mortar and is generally between 300mm-600mm wide. A 100mm (4 inch) wide open valley would normally require an overlap of 100mm on either side of the valley so 300mm wide lead lead would be required. The additional lead would be pressed and welted over a lath to ensure water is kept in the valley. The lead will be laid in strips of about 1.5m long and then overlapped. 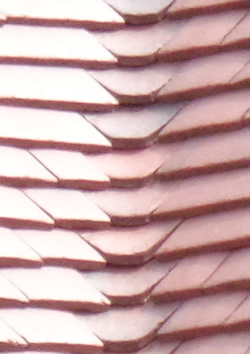 The tiles on the edge of the open valley will generally be bedded into mortar or nailed (slates). For a bungalow the figure should be around £400. As lead is so expensive, many roofing companies will also offer a fibreglass GRP closed valley alternative which can be neater and is less inclined to clog up. This would bring the cost down by about £100 per valley although an allowance would need to be made for the additional 30 or so additional tiles needed to form a closed valley rather than an open valley. 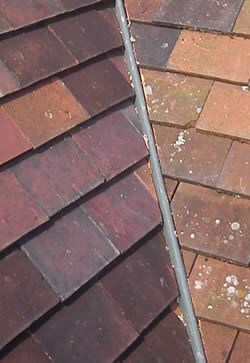 Another option in some cases is to use valley tiles which remove the need for a lead or grp valley. The row of slates just continues round the join. The pitch of the two roofs does need to be exactly the same though. 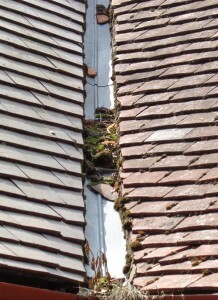 Valley gutters are either where two main roofs meet or where a wall and a roof meet (as in the boxed gutter photo). 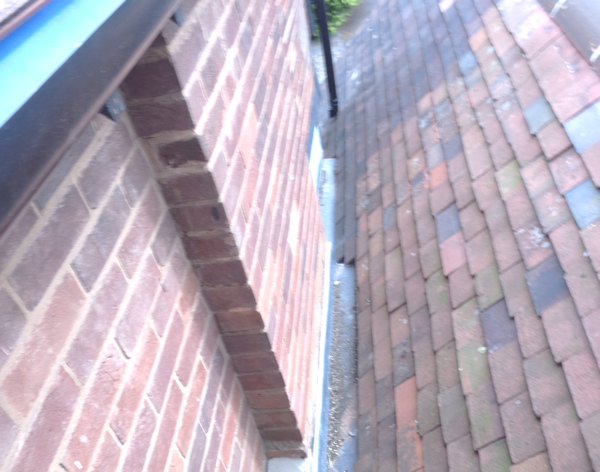 The key challenge is to ensure that water in this this gutter drains away. Generally valley gutters are slightly sloped and stepped to allow a flow of water towards drainage. Valley gutters can be made of lead or EPDM can also be used. 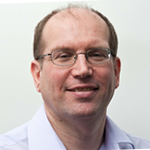 Really enjoyed your article on cracked leaking lead valley and indicative pricing examples. Makes a refreshing change to see actual logical costings for parts and labour. I live in the South East London (KT4) the prices I’ve been quoted for a valley box gutter replacement in lead are eye watering! Detached property with ground floor and one single storey. Seems a lot but I would like some opinions where possible. I’m looking to have the similar work done, but just replacing one valley. Based in North London and got quotes between 700-1500 inc vat. Highest one is a reputable company in the area. The lowest one a local roofer who told me he would do it without scaffolding. I’m unsure what to do as he seems established and confident him and his team can pull it off on ladders. 2370 incl VAT seems very high as I was already shocked by the £1500 quote.